The Long Tan Cross at its new home in the Australian War Memorial. Image via Australian War Memorial Twitter. 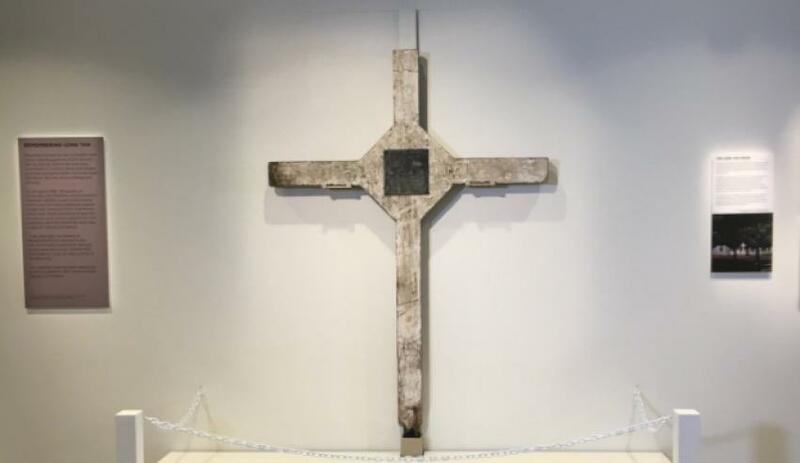 The original Long Tan Cross has found a new, permanent home at the Australian War Memorial, after the Vietnamese government gifted the piece of military history to Australia. The Long Tan Cross was erected by Australian soldiers as a memorial to their fellow diggers who fought and died at the Battle of Long Tan on 18 August 1966, Australia’s most costly single engagement in the Vietnam War. It was removed from the Long Tan battle site some time after the end of the Vietnam War in 1975. It was reportedly used as a memorial for a Vietnamese Catholic priest until the 1980s when it was restored and eventually placed on display by the Dong Nai Province Museum in the late 1990s. Prime Minister Malcolm Turnbull thanked the Vietnamese government for its "generosity" in bringing the cross to Australia. "Thanks to the generosity of the Vietnamese government, the cross will now remain in Australia for perpetuity where it will be honoured, as we honour the men and women who served in the Vietnam War," the Prime Minister said. "This cross speaks volumes in its rough simplicity, it speaks of values which are eternal." The decision by the Vietnamese government to return the cross comes after Australian veterans were banned from making a pilgrimage to the scene for annual memorial services last year.